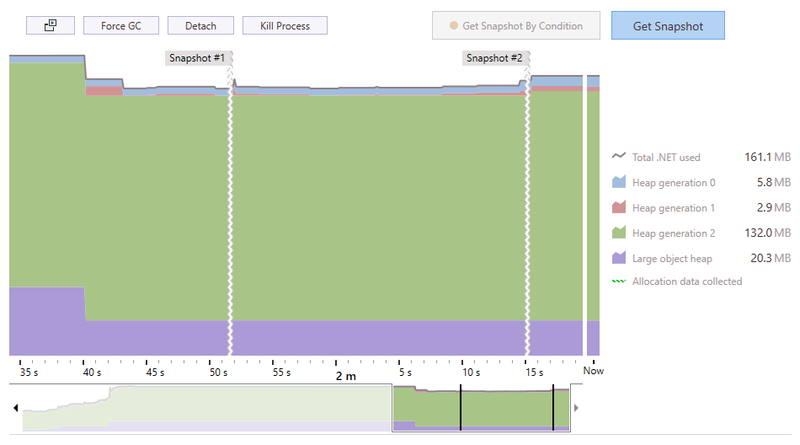 Use the timeline view to monitor the memory consumed by your application in real time. Collect the info on allocations as you need it. Take snapshots with a single click without stopping your profiling session, add them to compare or browse memory traffic during a particular timeframe. Thanks to the multiple powerful built-in inspections, most common memory issues are detected with a single click, no manual effort required. Just get a snapshot and be guided toward optimizing the memory usage. For in-depth analysis, dotMemory offers many different criteria to apply to memory usage data, so you can view the data from thousands of different angles, and drill-down, dice, slice or pivot as you wish. Analyse memory traffic in a particular timeframe to understand the cause of excessive allocations and garbage collections. Determine how objects were allocated and collected and what methods are behind these allocations. dotMemory automatically scans your snapshot for the most common types of memory issues. These inspections can be a great starting point in analyzing a snapshot if you're not sure where to begin. Want to know how the objects relate to each other? What objects they reference and through what fields? Want to know which calls created these objects? No problem! dotMemory has a view for everything. 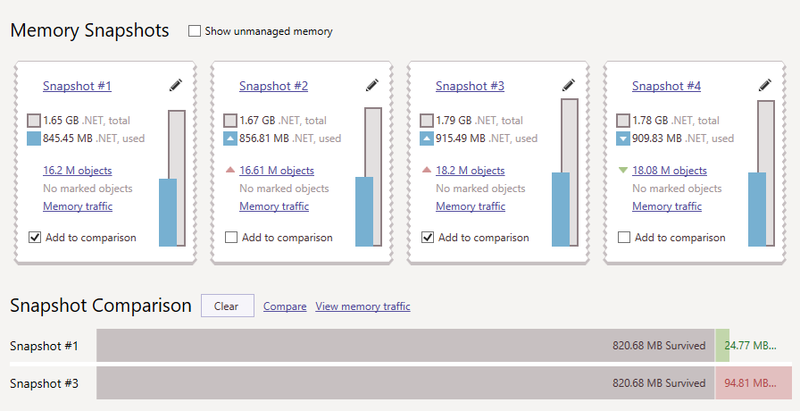 You can profile the memory usage in your applications right from Visual Studio 2010, 2012, 2013, 2015, or 2017. 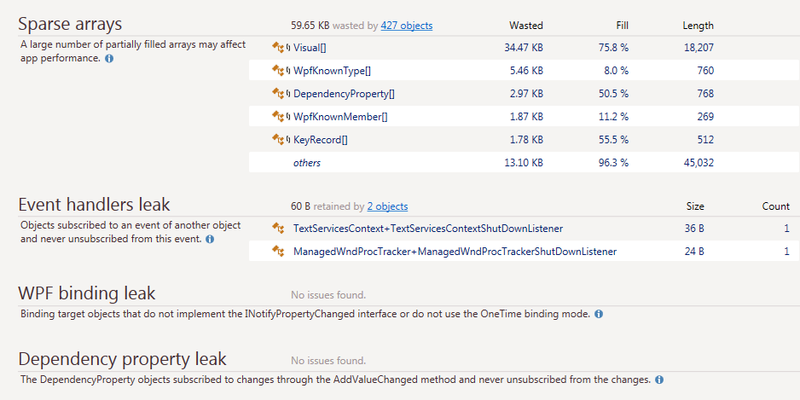 Also, you can profile unit tests quickly when working with ReSharper. Take advantage of the free unit testing framework to write tests that check your code for all kinds of memory issues. 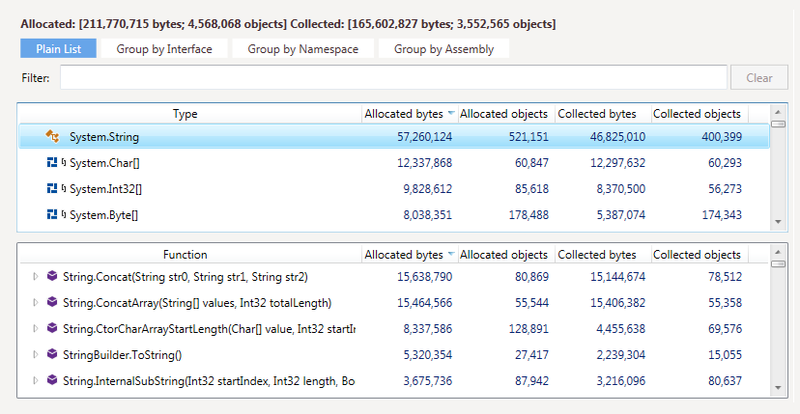 Extend your .NET unit testing framework with the functionality of a memory profiler! Teams all over the world use dotMemory.